Apple on Friday submitted its latest annual conflict minerals report with the U.S. Securities and Exchange Commission, revealing that it asked suppliers to kick out five smelters and refiners during 2018. Those businesses were unwilling to submit to third-party audits or "did not otherwise meet Apple's requirements on the responsible sourcing of minerals," Apple said. A widescale audit program was conducted to check sources of coltan, cassiterite, gold, wolframite, tantalum, tin, and tungsten -- the last three referred to as 3TG. "Of the 253 smelters and refiners of 3TG determined to be in Apple's supply chain as of December 31, 2018, Apple found no reasonable basis for concluding that any such smelter or refiner sourced 3TG that directly or indirectly finance or benefit armed groups," the company concluded. 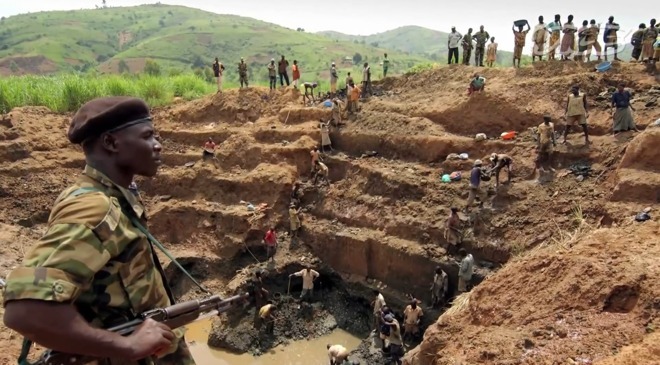 Governments, rebel groups, and warlords around the world will often use mining profits to fund their war efforts. This can perpetuate bloodshed that would otherwise wind down, and in some cases may be the incentive for fighting. Apple's SEC filing claims that 100 percent of its smelters and refiners were subjected to an audit "for the fourth straight year," but only as of Dec. 31 -- by which point the five offending parties had already been removed. In 2017 Apple was forced to cut 10 smelters and refiners. The iPhone maker is believed to be one of the better multinationals when it comes to ethically-sourced minerals, though it has had to deal with incidents like possible child labor. Good job, Apple! Keep it up.